THEY may be spending Yuan by the bucketful and interest in the game is at an all-time high, but can Chinese football clubs really challenge the European leviathans? With Deloitte’s latest Football Money League released this week, the professional services group is preparing the way for an insurgence of new money breaking into the top 30 in the future. It may be a little premature, though, because China is still way behind the mature European leagues and the Chinese Super League (CSL) has still to prove that its growth trajectory is sustainable. Deloitte anticipates that by 2030 we may see a Chinese club in the top 30. But like many things Chinese, football also shares the danger of an over-heating economy. That said, reports suggest that China contributed almost a third of global growth in 2016 and the Chinese economy grew by 6.7%. This is low for a country that has been generating far higher GDP growth, but so far, no sign of drama, although sceptics still anticipate trouble in the years to come. The financial crisis has taught us one thing – to expect the unexpected. Football has certainly been bubbling like a hot spring in China in the past two years and the latest transfer window shows once more that the top clubs have deep pockets and generous backers. The authorities have already seen that throwing around money does not necessarily buy you credibility and there have been warnings that overspenders will be penalised and expelled if they incur three years of deficits. On top of that, there is now a restriction on how many foreign players a team can field in one game – now just three. They can have five foreigners on their books, but only three can play at any one time. Yaya Toure and Christiano Ronaldo have both turned down the chance to play in China, the changing landscape possibly contributing to their decision, although both may feel that they still have considerable mileage in Europe – or even the US – before opting for a pension fund contract. Both can still command big money in their own backyard, especially Ronaldo. If Chinese clubs are to become global financial powerhouses, it will largely be because of their corporate ownership. The CSL enjoyed decent attendances in 2016, an average of over 24,000 but the revenues are not there yet in the domestic league. The CSL’s revenues totalled some EUR 336m in 2016, a mere fraction of the EUR 4bn from the EPL, EUR 2.6bn in the Bundesliga and the EUR 958m generated by Brazil’s top division. In fact, India and Australia both accrued slightly more. The impetus from corporate China may currently be very significant, but nothing can be taken for granted in a market where huge growth has been attributable to property and consumer behaviour. The Chinese government has taken steps to calm the market, some of the big cities have “bubbles” that have been driven by financial leverage and over supply of housing. Demand for real estate is expected to slow in the years ahead. 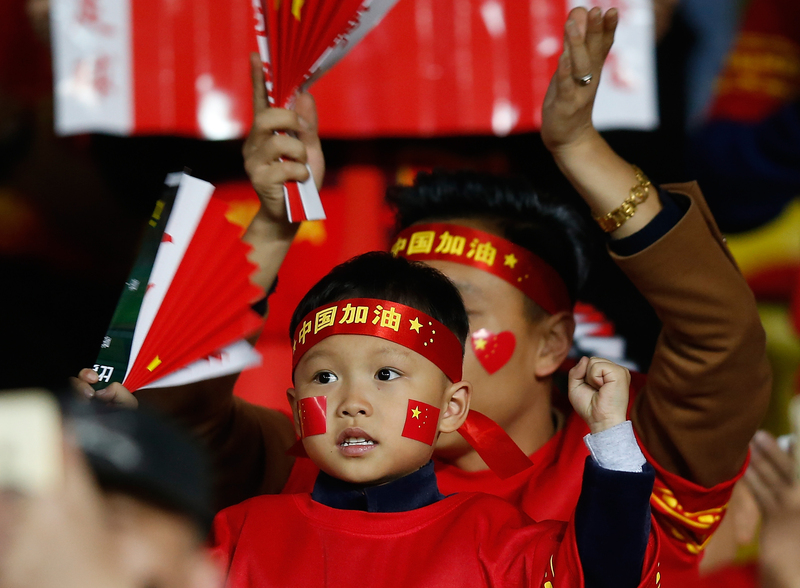 It does make you wonder if the enthusiasm for football will wane as China’s dramatic growth curve comes to an end, or at least, becomes more realistic. The huge investment in football has come at a time when economists have expressed fears about China’s economic sustainability and the accuracy of their financial figures. Guangzhou Evergrande, for example, is 56%-owned by the Evergrande Group and 38%-owned by Alibaba. Both these companies are riding on the back of China’s global expansion. Evergrande is a real estate group and although they have diversified into solar energy, pig farming and agriculture, they are still dependant to a large degree on property. If China’s housing market does implode, there could be an impact on the company’s patronage of football. Likewise, Alibaba is an e-commerce group that appears to be growing at a rapid pace. There was a recent report that the company has already been discussing with new US President Trump the creation of one million jobs in the US. Furthermore, and perhaps a little worrying for football, it has just become a partner for the Olympics, prompting rumours that the company may be losing some interest in the game. Can they comfortably be all things to all sporting people? The second biggest club in China, Beijing Guoan, is 64%-owned by the Sinobo Group, another real estate-oriented company. Their other major shareholder is CITIC, a conglomerate that focuses on steel and raw materials, among other things. CITIC is one of the largest conglomerates in China and includes financial services, engineering and real estate. The company recently acquired the China operations of none other than McDonalds – a sure sign that Asia’s growth engine is adopting the habits of the west. The third most monied club in China is thought to be Shanghai SIPG, owned by the Shanghai International Port Group. They have adopted an approach of bringing in big names – their past two coaches have been Sven Goran Eriksson and Andres Villas-Boas, and they paid some EUR 60m for Brazilian forward Hulk in 2016. Being owned by SIPG may offer some big advantages to this club. In 2010, Shanghai overtook Singapore as the world’s biggest container port and the city has ambitions to become a global financial hub. The reforms for the free trade zone, along with technology developments, are aimed at attracting business and foreign investment, but it has to be appealing for global talent – perhaps as attractive as it has become for footballers seeking lucrative contracts. Jiangsu Suning has also been making a lot of noise and making some audacious bids for players. They were ranked the fourth largest Chinese club by Forbes, thanks to the backing of the Suning Group, one of the top three B2C companies in China. The club has been trailing Chelsea’s Diego Costa, with the promise of untold riches. Based in Nanjing, a city of eight million people, they have an average crowd of 39,000 which makes them the second best supported club in the CSL. Suning operates around 1,300 stores across 230 cities in China, selling TVs, audio equipment, washing machines and other consumer goods. Given China’s urbanisation and growing middle class, this is one of the companies that will be filling the homes of aspiring young Chinese people. Little wonder that football figures in the company’s portfolio. Of course, football has been a good way of distracting the masses from their daily plight. China’s recent growth story has been dramatic and without it, the global economy would have been in bigger trouble in the period between 2008-2015. The government has realised the phenomenal power of football – to drive benign nationalism, collective purpose and consumer spending- in just the same way the Romans used panem et circenses to gain political power. A cynic might suggest that once a modern-day society starts to develop, it moves from peasantry, religion and animal rearing to urban survival, drinking, gambling, consumption of poor quality food…and football. In general terms, China is now immersed in that cycle. To return to the argument, can China’s football clubs compete with Real Madrid, Manchester United and Barcelona? You might try a draw a parallel between economics and football growth, but in the case of Real Madrid and Barcelona, it holds little water – these clubs have been at the forefront of world football at a time when Spain was almost falling off the proverbial cliff-edge. Bread and circuses, perhaps? However, the difference is that China’s football is being underpinned by fast-growing corporates that are driving the country’s unprecedented growth. There is the correlation, it is just a question of how long and how steep that rise will be and whether China’s attention span will persist. But given globalisation and the power of the top European names, it is more likely is that the world’s top clubs will mostly be owned by highly liquid Chinese investors, but few of the clubs, if any, will be representing cities like Beijing, Nanjing and Shanghai. As the old cliché goes, these are “interesting times” for football, and not just in China.